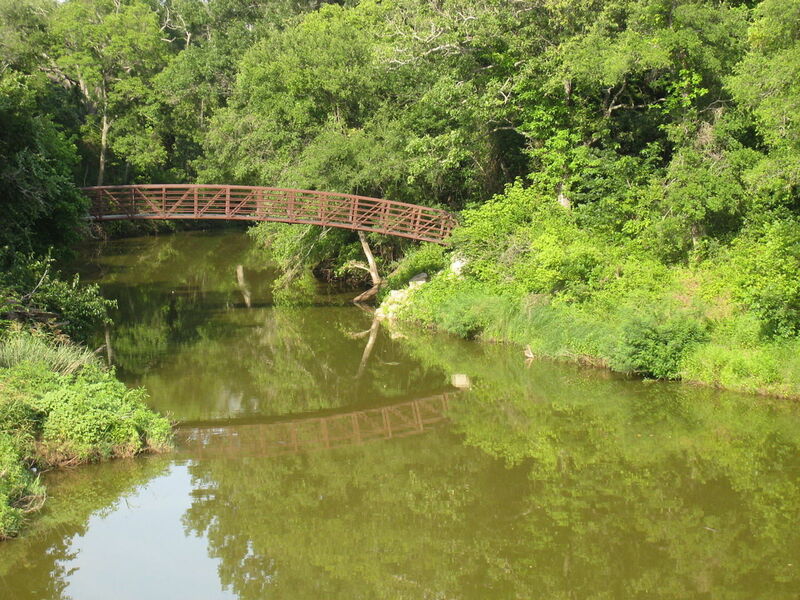 The Dallas metroplex is home to Lake Lewisville, Lake Ray Hubbard, and Lake Ray Roberts. With plenty of beaches to pull your boat up on and picnic, the perfect family day on the water awaits. An eager fisherman will be looking to catch as big of a catfish as possible for bragging rights and if you don’t want to cook your own catch, be sure to check out one of the many restaurants by the lake. 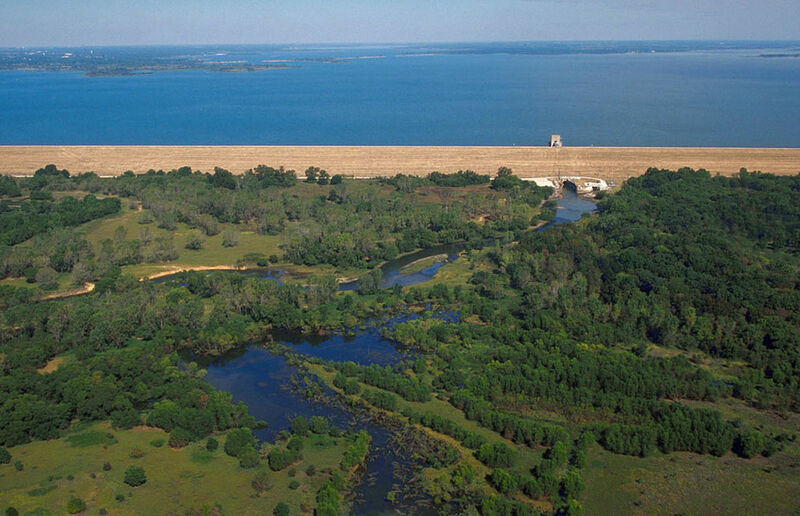 Lake Grapevine is an 8,000-acre lake located in the heart of the Dallas/Fort Worth area. Home to some of the most enjoyable outdoor activities, including fishing, recreational boating, camping, and hiking. Rent a boat or a personal watercraft to tour the lake, or follow these fishing tips to catch big bass on Lake Grapevine. Grapevine is also home to the largest wine festival in the Southwest, which is held annually in September. Plan a day-trip around Grapevine’s Urban Wine Trail and stock up on wine for your next boat party. Whether you prefer spending time on your boat, fishing, jet skiing, or barbecuing, Joe Pool Lake is the local favorite for a reason. A variety of rentals are available, including pontoon boats and ski boats, or you can simply kick back and enjoy a sunset boat cruise on the lake. Scour the marina for all of your water sport needs, including swimsuits (because you can never have too many bikinis! ), life jackets, and summer toys for the kids. Waterside dining is also available at restaurants along the lake, featuring stunning views and live music on weekends all summer long. Looking for something more low key? Pack your cooler and arrive early. Tables near the water at Lynn Creek Park fill up quickly, but are worth the early wake-up call. Grills are available at every table, so all you need to bring are the burgers. 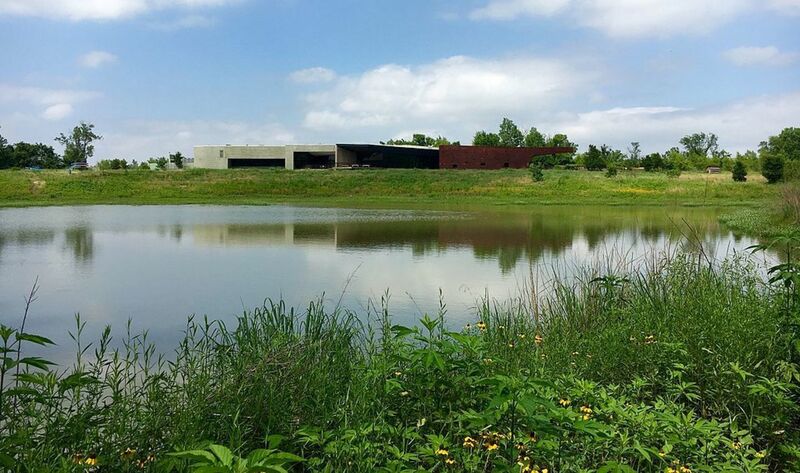 The Trinity River Audubon Center houses a 6,000-acre urban forest, the largest in the United States. Visitors can float down the river and explore miles of trails featuring local wildlife and vegetation, including pecan, black willow, and cottonwood trees. Children won’t want to miss the Children’s Discovery Garden, where they can learn about conservation and gardening. The center also offers guided tours down the Trinity River, the perfect excursion for a summer day. Lake Lewisville offers excellent shoreline camping and boating, as well as good places to water ski. It can get crowded in the summer and the extra boat traffic creates rougher waters, but the sights are beautiful (with stunning houses along the coast). Don’t miss the fun by staying out of the water—whether you rent a boat or go swimming in the coves, you’ll definitely want to explore the lake. If you’re looking to try paddle boarding or water skiing, you’ll want to look for smoother waters in the northern coves, along the dam, or on the western side of the lake. If you’re looking for the party, Party Cove is where it’s at. This is typically where people spend their weekend swimming, boating, and having fun on the lake. Only a few minutes away from Downtown Dallas, Rockwall Harbor combines shopping, dining, and entertainment activities all in one location. With many different dining experiences available suitable for all tastes, from chocolate lovers, to fine dining upscale restaurants, no matter the crowd there is something for you. Alternatively, browse the shops or hit up the movie theatre. 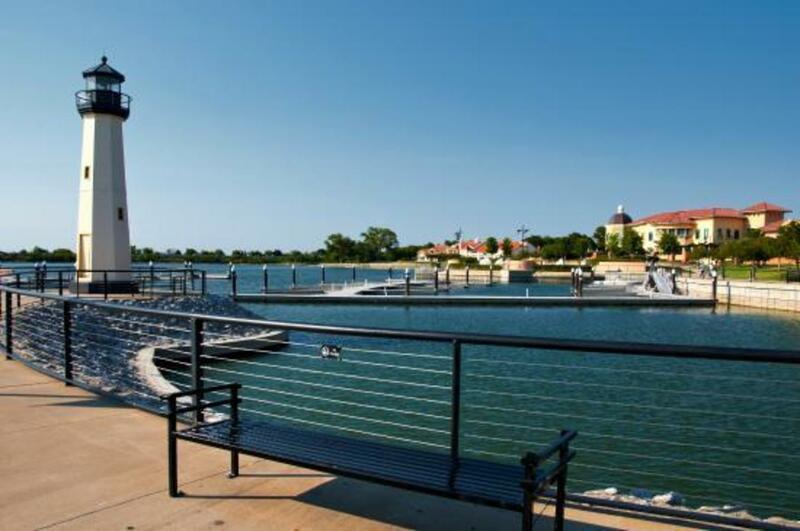 Rockwall Harbor provides beautiful views over Lake Ray Hubbard and is the perfect location for a fun day out. If you want to catch a catfish then Lavon Lake is the destination for you. 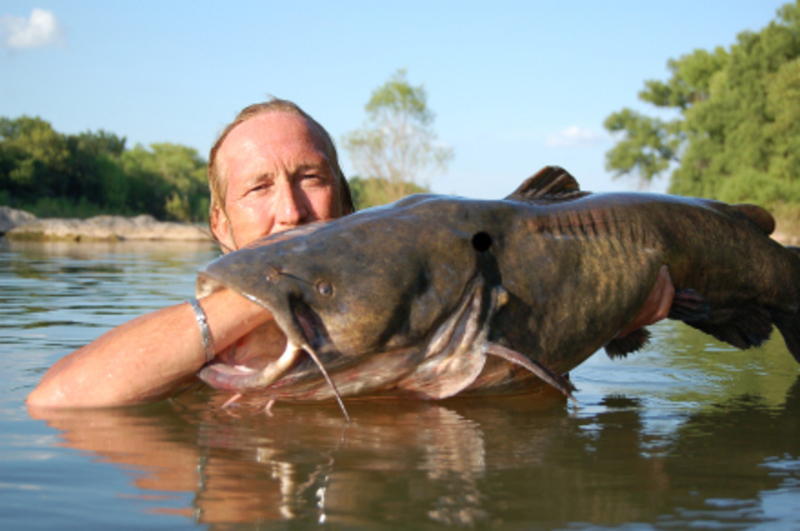 Many people have high levels of success at the lake with significant numbers of catfish being caught year round. Try your hand at noodling, a form of fishing using only your bare hands and see if you are able to catch one of the catfish lying beneath the waters. With a bit of technique, you can easily bring home supper for many nights to come. 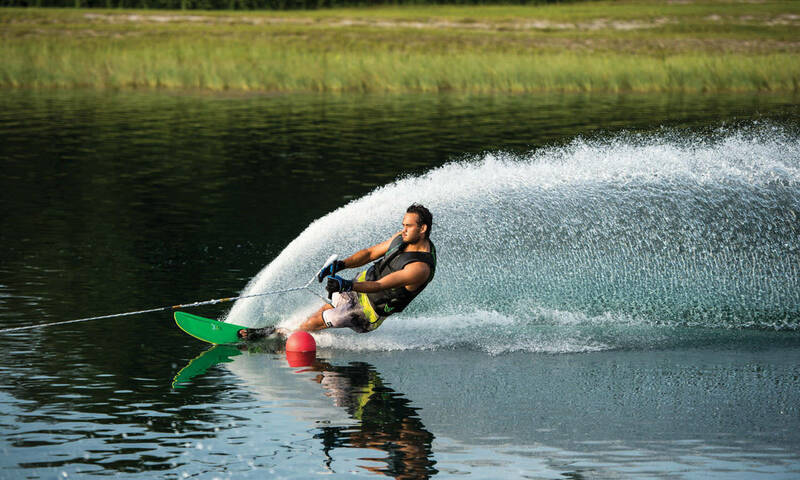 Everybody knows how exhilarating water skiing is, speeding along up to 30 miles per an hour across the water makes the hairs stand up on the back of your neck. Young and old enjoy the experience, and it makes for a fast-paced day when in Dallas on your vacation. Fortunately, for those who have never tried to waterski before, there are many operators offering beginners lessons in the Dallas area. No need to bring your own equipment as it is usually provided. After hitting the water during the day to try your luck at fishing, you will probably have quite the appetite. 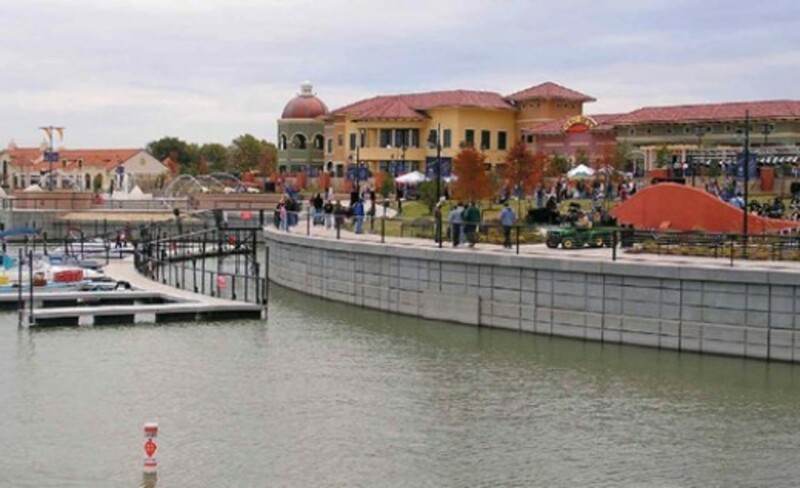 Fortunately, surrounding Lake Ray Hubbard are a variety of restaurants suited to all tastes. Tucker’s Grill & Taqueria provides street food style tacos combined with a family owned restaurant experience. For something different, head to Sake Bomb Thai & Japanese Cuisine for amazing sushi made fresh to your order. Pontoons are one of the best ways to enjoy the water. With slides to let you splash down, and plenty of space for large groups. They are perfect to enjoy the weather and most importantly relax. On Lewisville Lake many operators rent out pontoons for half and full day rentals. Some are more focused on comfort, with luxury seats, whereas others are focused on size for large groups and slides for fun. 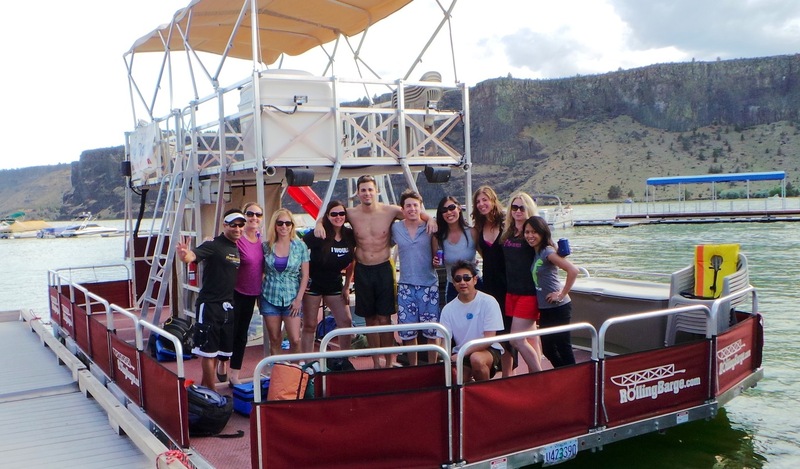 Whatever your group needs, they can easily be catered to so you can have a fun day out on the water. Great for tubing, wakeboarding, and fishing!